YHAO is pleased to be permitted to offer backcountry treks in the 2.2 million acres of Yellowstone National Park and over 1000 miles of trail. Yellowstone treks are usually 5 days long and cover approximately 30-45 miles. 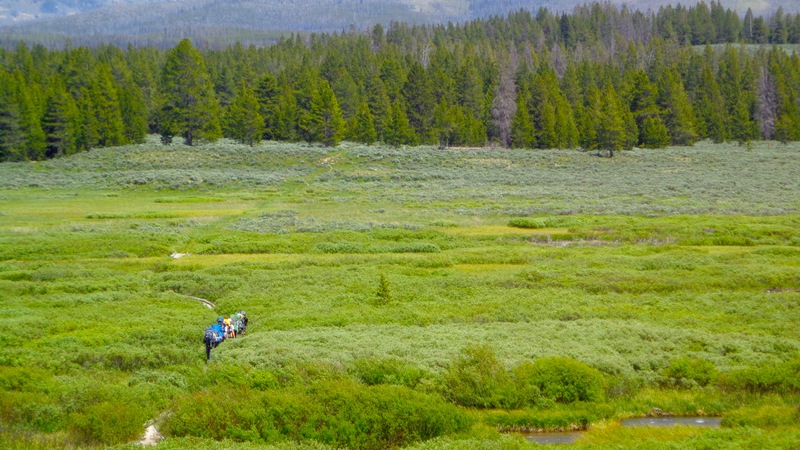 Participants hike between 5-10 miles a day through the backcountry of Yellowstone National Park. Our treks have a distinct wilderness flavor that is not found in other high adventure programs. 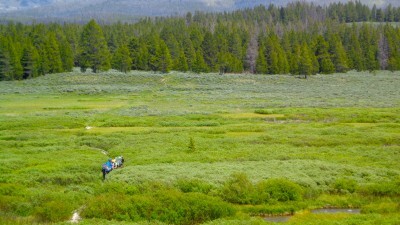 Travel on Yellowstone treks is 90% on trail and groups stay at established backcountry campsites. It is rare for our trek crews to encounter other park visitors after day 1. Most groups see a wide variety of wildlife including elk, moose, coyotes, wolves, bison and bears during their trek. Scouts can expect to encounter snow on the high passes any time of the summer. 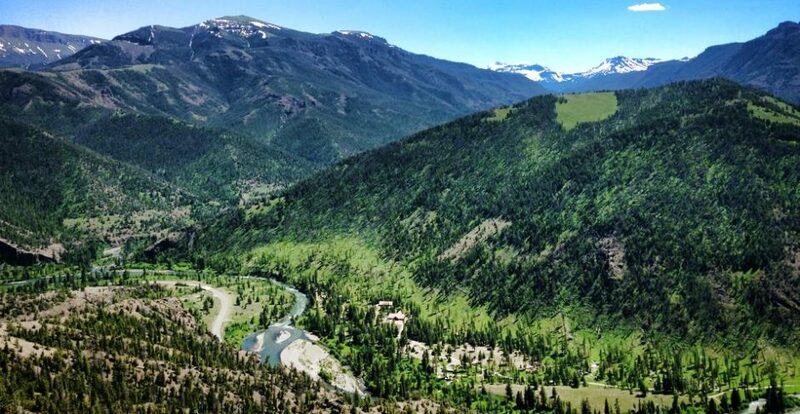 The Yellowstone backpacking program was developed around Leave No Trace and an extensive LNT curriculum will be taught over the course of your trek. There will be opportunities for fishing on most itineraries. Scouts and Leaders will need to purchase a Yellowstone fishing license if they want to fish on the trek. Backpacking participants must arrive on Sunday afternoon by 4:00 for a gear shakedown, food issuing and pre-trek skills instruction and assessment. Crews leave base camp for the trail first thing Monday morning. Come prepared with all the gear listed on our backpacking gear checklist. Those who aren’t properly equipped will not be allowed on the trek. A limited quantity of loaner equipment is available as noted on the trek equipment checklist. Itineraries are reserved through the Yellowstone Backcountry Office on a first come, first served basis starting in January. Hellroaring Creek. and Black Canyon of the Yellowstone, ~ 30 mi. Gallatin Range Crossing- Electric Pass, ~ 31 mi. Lamar Valley. Soda Butte to Pelican Valley, ~ 34 mi. Lamar Valley Plus. Thunderer to Pahaska Teepee, ~50 mi. Available after July 15.